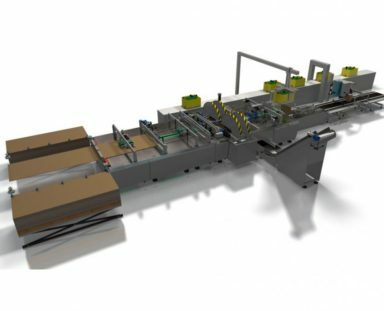 Macfarlane Packaging is now able to offer more automated packaging options for its customers through collaboration with some of the leading automation providers, including CMC, B+, e3 Neo, Neopost and Linkx Packaging Systems. 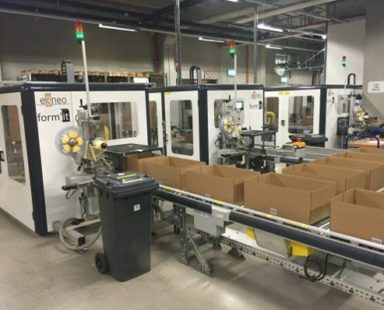 Packaging automation helps increase productivity, reduce transport costs and save warehouse space while protecting products from damage in transportation and storage. Customers can choose from a wide range of options, from auto bagging and auto boxing to air cushioning and stretch wrapping solutions, depending on their products and requirements. The idea behind automation is simple. The apparatus measures the dimensions of the products and adjust the size of packaging to offer the best fit and protection for the items inside. This helps minimise the amount of packaging material required, ensuring parcels look neater and less packaging waste is produced.